Children attend many parties during the year, whether birthday parties, holiday parties, or school parties. To help an event stand out, consider bounce houses. Bounce houses are an affordable rental option that can entertain children for hours. During your hunt for the perfect bounce house, you can find several different types of bounce houses available for rental. Find bounce houses in different sizes to accommodate an outdoor space, or search by theme to find bounce houses that resemble castles, monster trucks, animals, and so on. Keep true to a party theme with various available bounce houses. include a wide variety of bounce houses that can make your event one for the books. Rent a bounce house for an affordable price from Pink Elephant and we can help you throw an unforgettable event. 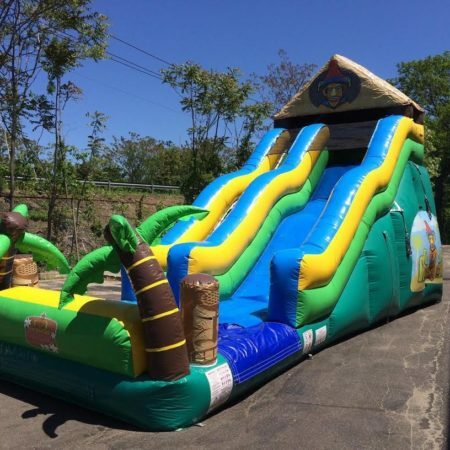 Select from simple bounce houses, inflatable obstacle courses, or even water slides for those hot summer days. The opportunities are nearly endless, so be sure to see what we here at Pink Elephant Party and Tent Rentals have to offer by visiting our website or giving us a call at 631-357-3651 for more information.